Interested people can sign a petition for a minimum living wage to be set for University of Arkansas employees either by printing a PDF petition or open an online version of the petition to sign digitally at change.org. 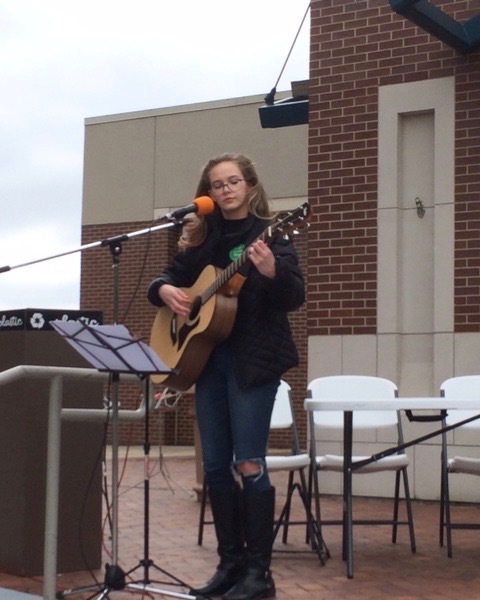 Starling Ledbetter performs April 7, 2018, at the U of A Living Wage Rally. 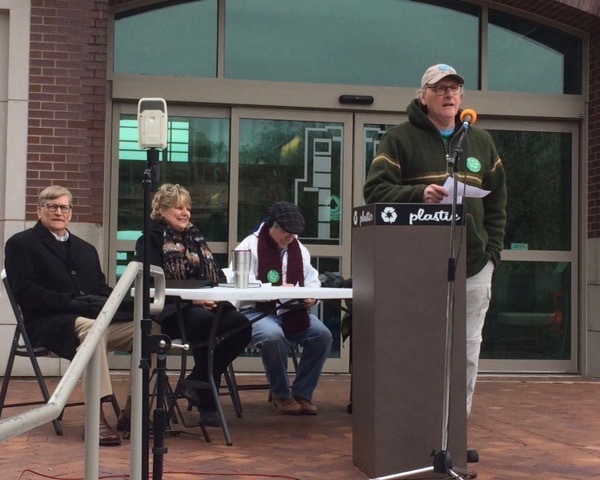 The U of A Living Wage Rally on April 7, 2018, had a compact but sturdy audience at the Fayetteville Town Center plaza. It was 29 degrees and had snowed earlier in the morning. 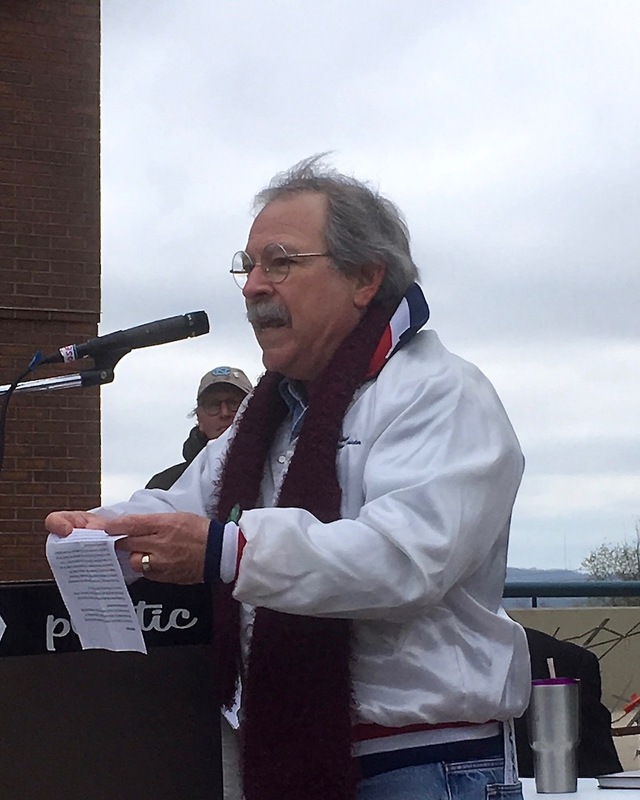 ACSME Local 965 member Steve Boss emcees the U of A Living Wage Rally on April 7, 2018, on the Fayetteville Town Center plaza. D’Andre Jones, chair of the Fayetteville Civil Rights Commission, discusses the legacy of the Rev. 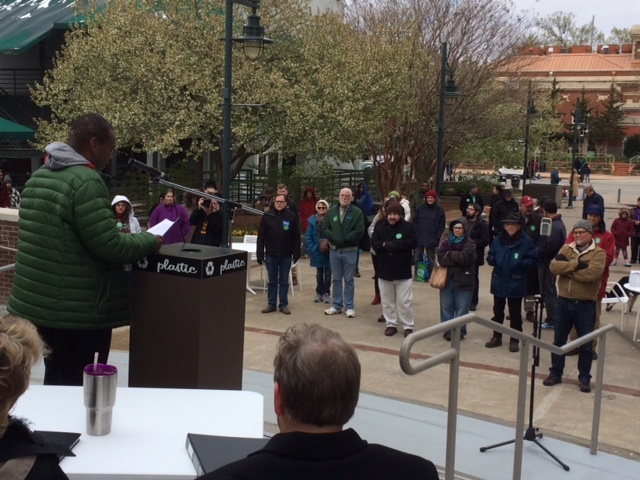 Martin Luther King Jr. at the U of A Living Wage Rally on April 7, 2018, on the Fayetteville Town Center plaza. Jones focused on the legacy of the Rev. 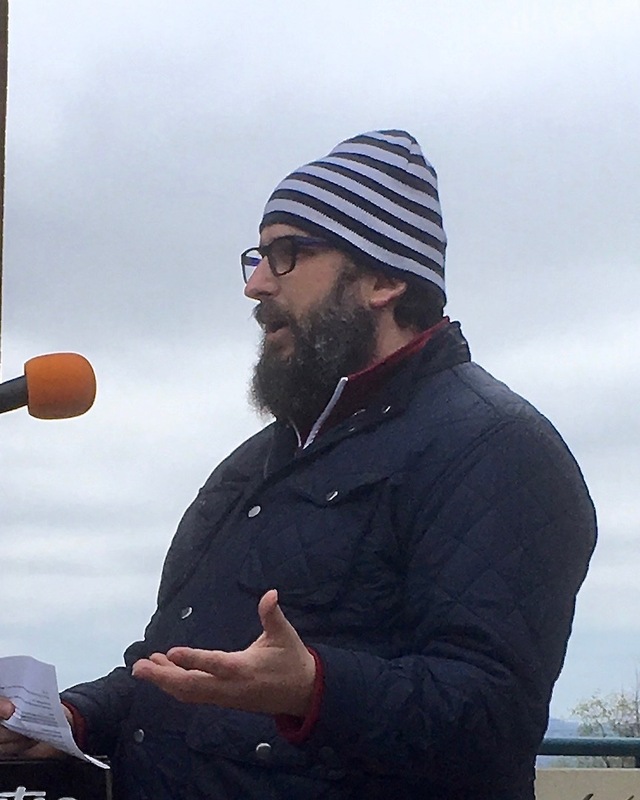 Martin Luther King Jr.
Walter Hinojosa, president of Northwest Arkansas Joint Labor Council, AFL-CIO, focuses on the history of fair wages at the U of A Living Wage Rally on April 7, 2018, on the Fayetteville Town Center plaza. 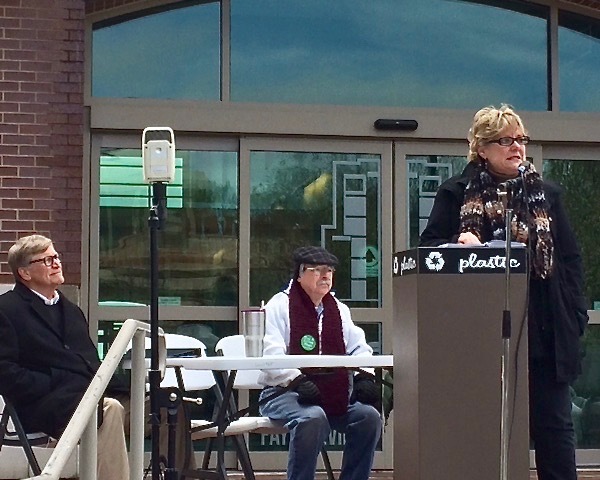 Denise Garner addresses the U of A Living Wage Rally on April 7, 2018, on the Fayetteville Town Center plaza. 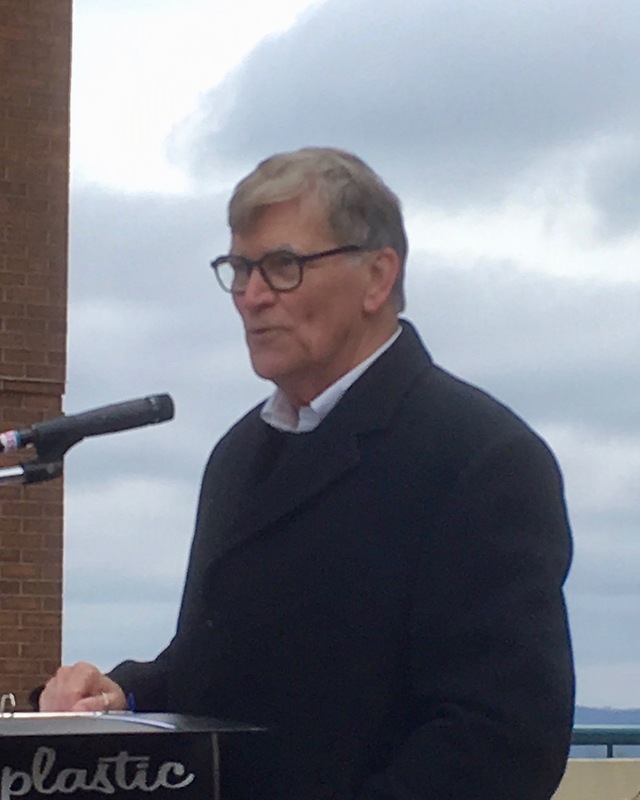 Garner, a longtime leader of Feed Fayetteville, is a Democratic candidate for Arkansas House District 84. 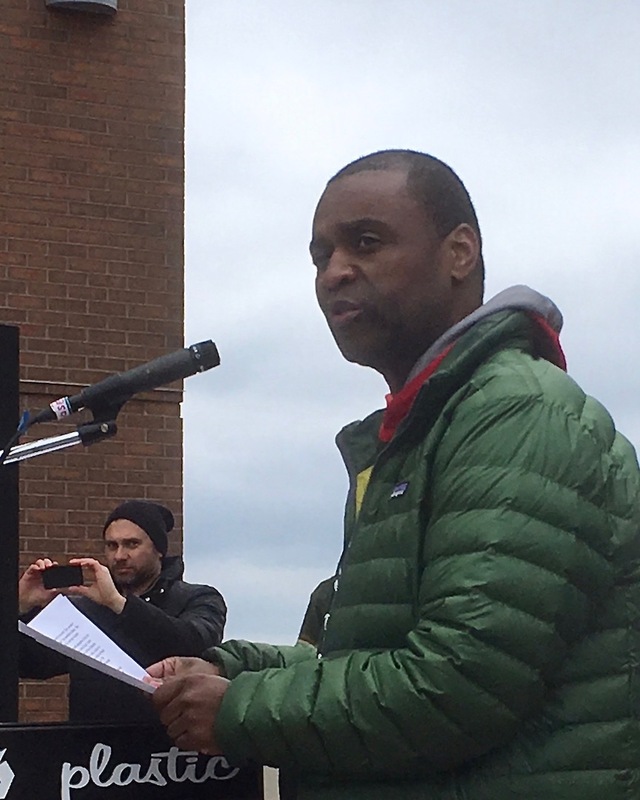 Mike Lee of Little Rock speaks on state policies and laws at the U of A Living Wage Rally on April 7, 2018, on the Fayetteville Town Center plaza. Lee is the Democratic candidate for Arkansas attorney general.